Cruise Holidays of Metro East has been in business for 20 years. Cruising is all we do, we ARE the experts! Ann-Marie Gaudet is the owner of Cruise Holidays of Metro East and knows cruising inside and out, having been on over 100 cruises! She is extremely passionate about cruising and loves to help new and seasoned travelers research, plan and organize their cruise vacations to destinations all over the world. At Cruise Holidays of Metro East we make sure our clients travel on the ship that suits them best, ensuring they have the best possible time while cruising. 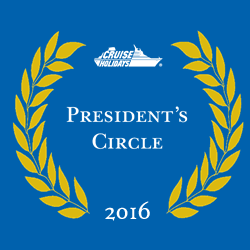 All of our employees are highly trained and certified and will gladly assist you in finding the perfect cruise! We’re located in Pickering, but serve clients looking for an expert cruise & travel agency all over Central Ontario including but not limited to Pickering, Whitby, Oshawa, Markham, Scarborough, North York, Vaughan and Toronto. Looking for that unique vacation experience? We create custom itineraries designed just for you. Contact us for details.